So, if you've been following along with Tweedle Beetles Return Part I and Tweedle Beetles Return Part II. you may be asking yourself "Why is Sheppy so sure that the Tweedle Beetles are involved with this mess?" If you haven't been following along, go back and read Part I and Part II. DAVE BUTLER ... before you suggest turning on moderation for all comments ... go back and read my responses to your previous comments (also in Part I and Part II ) . Well, to answer your question (if you indeed found yourself asking the aforementioned question), because only Tweedle Beetles would go through this much pointless effort just to aggravate me. And it turns out, they did have a motive to keep me distracted. You see, this weekend was the The Summit Foundation 24th Annual Great Rubber Duck Races. I have made no secret of the fact that Tweedle Beetles cheat. Specifically, I have shared many times that the Tweedle Beetles work with the Summit County Mob to fix the Duck Races. (don't believe me ... just go to http://blog.ericshepard.com/search/label/tweedle%20beetles and look at all the things I say about their evilness). Obviously, they thought that if I was busy trying to write code to combat the attacks and was just completely flustered during the weeks leading up to the Duck Races, I would not have time to train my ducks. There are over 10,000 ducks in the race (usually ... this year the number was down to closer to 8000 ducks), and without a strict training program there is no way my ducks would have a chance to compete with those of the cheating Tweedle Beetles. Certainly the week or two leading up to the big races are the most critical training days. But, this year the jokes on them. Yes, we actually won a prize because one of our ducks finished 12th. Obviously, they were mistaken when they thought they could rattle me enough to stop my ducks from winning. I am pretty sure that Dave was referring to his blog's facebook page (go ahead and like him at http://www.facebook.com/FermentedlyChallenged), but integrating facebook comments right into my website is pretty cool too ... right? Perhaps I'm just too much of a geek. 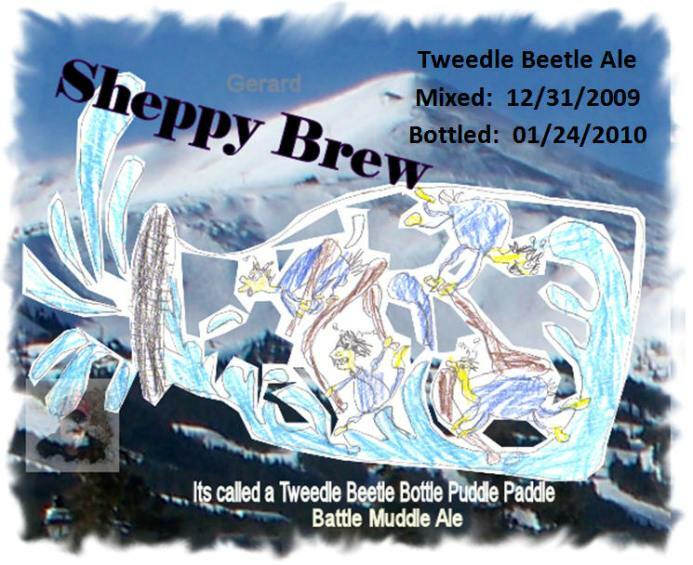 Do me a favor and stop by several pages on http://www.sheppybrew.com and leave comments using the little facebook widget. In fact hit several pages and leave comments on them all!